This LP has 27 parts. RECORD 0- "Persona 3 FES"
The Answer is an extra story that takes place after the events of Persona 3. There are constant references to that game in this one, so being familiar with it is more than a little helpful. What Makes The Answer Different? Quite a lot, actually. Unlike the original Persona 3 story, The Answer is a straight dungeon crawl with story in between. We enter the dungeon, fight enemies, and repeat. The actual game ends up being much shorter because of this. The other thing that makes it different is that it is a good deal harder than the original story. Yes. For one, its default and only difficulty is the equivalent of Persona 3's Hard. This means the enemies do quite a lot of damage. Our main character this time around has no choice of weapons, which can hurt us sometimes. 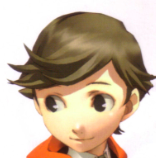 We have no Persona Compendium this time, so once we've gotten rid of a Persona one way or the other it's just gone. There's a lot of other little (and not so little) things, and we'll see them as we get into the game. How Is This LP Going To Be Formatted? I'll have two types of updates. Every other day I'll have a story update. The only gameplay notes in these will be boss strategies. Once we get into the game, I'll also start adding in extra updates on the off-days that discuss actually playing the game. Persona refers to both entities which embody the strength of an individual's heart and the power to summon them to your aid. All of the cast members of The Answer have this power, which they use to fight against creatures known as Shadows. Shadows are strange creatures connected in some way to the entity known as Nyx. The Tower of Tartarus was infested with them, and none have been sighted since it was destroyed. A strange phenomenon caused by a grim experiment carried out by the Kirijou Group long ago. Every midnight, an extra hour would occur. This hour would only be experienced by certain people, and in it the Shadows would roam and hunt. Recently, the Dark Hour ended for good. A strange tower that loomed during the Dark Hour. Infested by Shadows. Also known as the Tower of Demise, it existed to bring the being known as Nyx into the world. Tartarus vanished along with the Dark Hour when Nyx was defeated. The embodiment of Death. The same experiment that created the Dark Hour and Tartarus also set into motion a chain of events that would lead to Nyx's arrival, also known as The Fall. The Fall would, among other things, entail the extinction of humanity. The Specialized Extracurricular Execution Squad. A group of Persona users who battled the Shadows and defeated the Avatar of Nyx atop the Tower of Tartarus. When Nyx appeared anyway, their leader battled it one-on-one and somehow prevailed. The former leader of SEES, now only mentioned as, "him". Shortly after Gekkokan High's graduation ceremony, he fell ill and died. The cause is still unknown. A mysterious location that only appears to certain Persona users. Its inhabitants exist to allow visitors to refine their Persona ability. The Main Character of The Answer. The last survivor of a series of robots created to battle mysterious creatures known as Shadows. 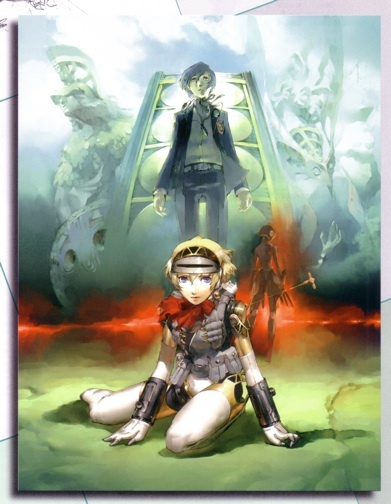 Aigis sealed the embodiment of Death inside the body of a young child, who later becomes the Main Character of the original Persona 3 story. Her memory damaged, when she re-awakens during the events of Persona 3 she only knows that he is important for some reason and swears to protect him. In the end she is unable to keep this promise. The first new member recruited by SEES during the events of Persona 3. Her real motive for joining was to learn the truth about her father's death. What she learns is that her father was on the research team that created Tartarus and the Dark Hour. She has yet to fully come to grips with the death of the Main Character. 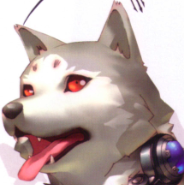 The third new member recruited by SEES during the events of Persona 3. He originally joins because he felt as though his life had no real meaning. He falls in love with Chidori, a member of the villainous group who called themselves Strega. When its leader, Takaya, shoots Junpei, she sacrifices her life to save him. This gave Junpei the motivation he needed to really get serious about the future. One of the original members of SEES. After one of their members died and another quit, though, this incarnation of SEES was unable to continue fighting in a serious fashion. His best friend, Shinjirou, was murdered by the leader of Strega. This gave him the resolution to live for both of them. One of the original members of SEES. The scion of the Kirijou group, she feels responsible for the actions of her grandfather, who created the Dark Hour. When her father is murdered by a former ally, she is left nearly unable to go on. She is able to recover with the help of Yukari, who also lost her father. Fuuka awakened as a Persona user after being locked in Gekkokan High School during the Dark Hour, which stranded her in Tartarus. In SEES Fuuka was able to open up, and finally made some real friends. A young child with the power of Persona. His mother was killed when former SEES member Shinjirou Aragaki lost control of his Persona and their house was destroyed. He swore revenge against Shinjirou, but was unable to bring himself to kill him when the time came. The dog of an old shrine's caretaker. Koromaru starts following SEES around, and they eventually discover he too has the power of Persona. A mysterious Anti-Shadow Weapon who appeared with the Abyss of Time. 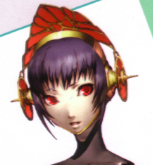 She claims to be of the same line as Aigis. Hard Difficulty: Enjoy The Increased Challenge! The Answer to Life's Greatest Question Edition!